It's no exaggeration to say that designer peel-and-stick wallpaper is one of the most revolutionary ideas the design world has seen in the last decade. It's a life-saver for renters who long to personalize their apartment without angering their landlords, and it's an easy fix for those of us who love the idea of wallpaper, but not the actual process of gluing sheets to the wall. Though the earliest peel-and-stick product was a bit basic, today's brands — from Chasing Paper to Walls We Love — bring an upscale look to this simple design trick. And the best part? You don't need to limit your creativity to the wall. 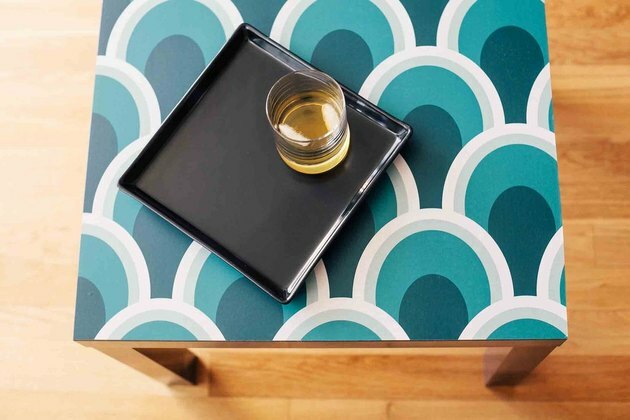 Here are nine of our favorite unexpected ways to use removable wallpaper in your decor. Add a pop of pattern behind the shelves of an old medicine cabinet or bookcase with peel-and-stick paper. 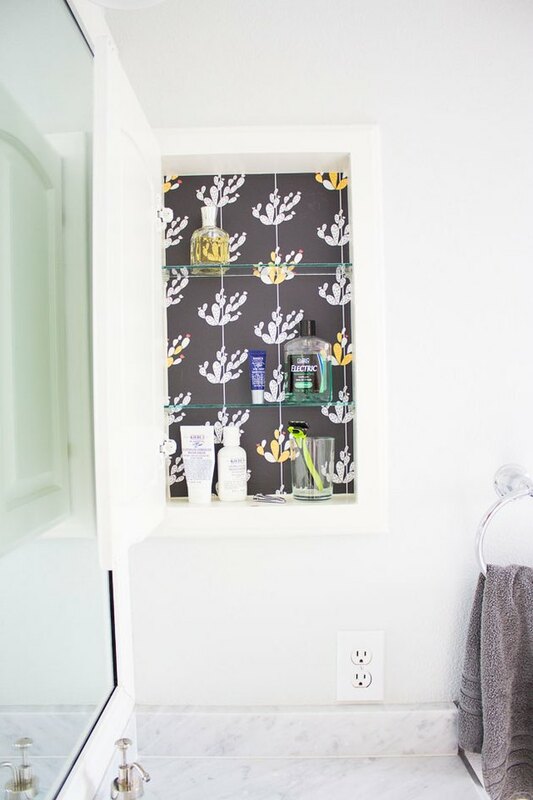 Haeley from Design Improvised used a fun cactus print by thislittlestreet to help bring a whimsical element to the bathroom. Got a leftover length of wallpaper? Use it to cover the top of a basic table, a la Chasing Paper. This would be the perfect detail on a nightstand in a minimalist bedroom. 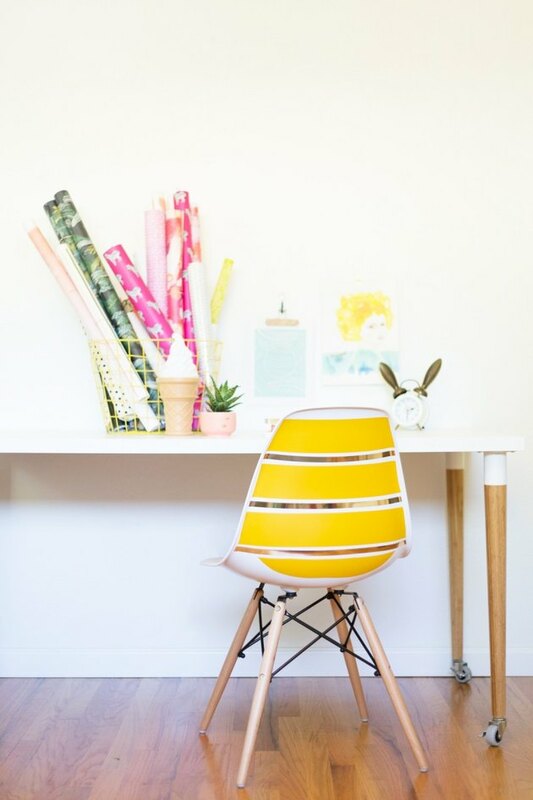 Liven up a basic stool by smoothing on leftover peel-and-stick paper on each of the steps, as shown in this idea by Chasing Paper. 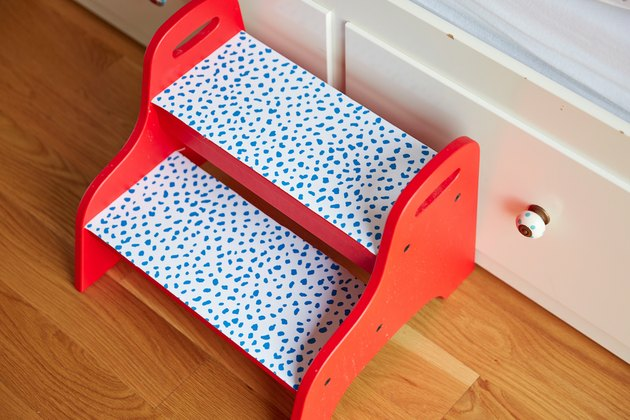 It's the perfect weekend project for a kid's bathroom — especially if he or she gets to pick out the pattern! 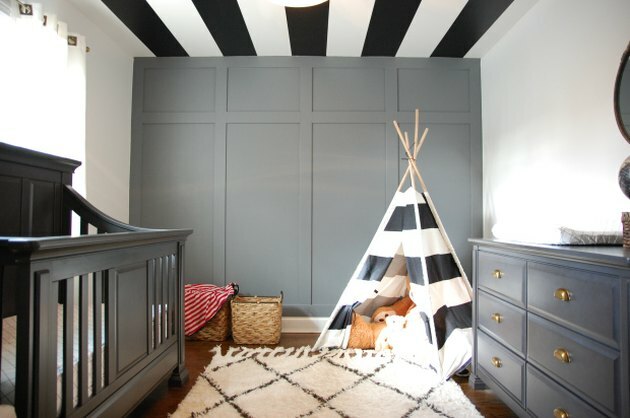 Kate from Cameron & Co. used peel-and-stick stripe decals from Walls Need Love to create a bold effect on the ceiling of her modern nursery. We love the way it echoes the striped teepee playhouse and the slats of the crib. Designer Kevin O'Gara of the blog Thou Swell started with a similar peel-and-stick stripe decal to create a two-toned lattice on his ceiling. 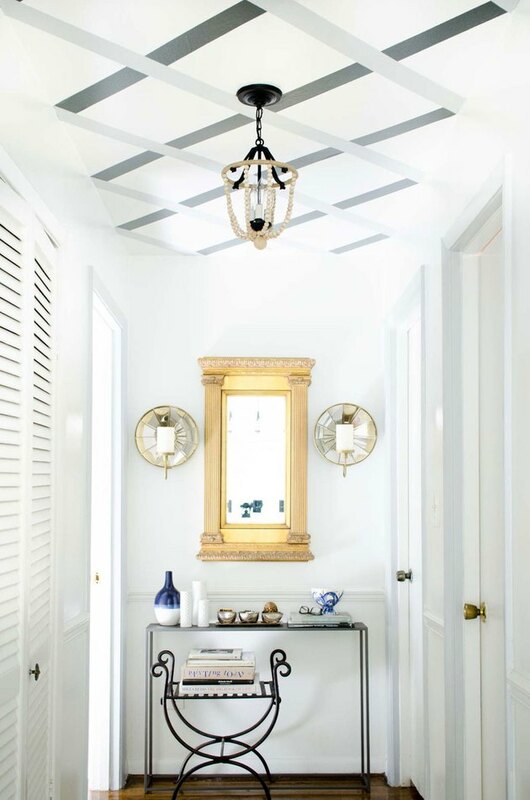 It adds an almost architectural interest to a white hallway, which is perfectly offset with a gold mirror. 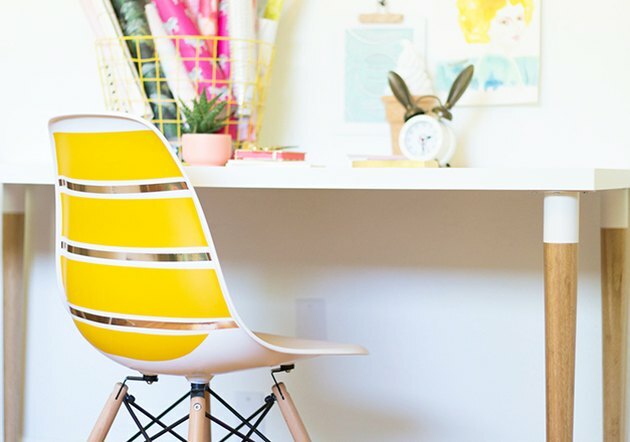 You don't need to repaint a chair for a whole new look: just update its back, which is the part of the chair you see most, anyway. Chelsea Foy of Lovely Indeed used peel-and-stick stripes for a colorful flourish. 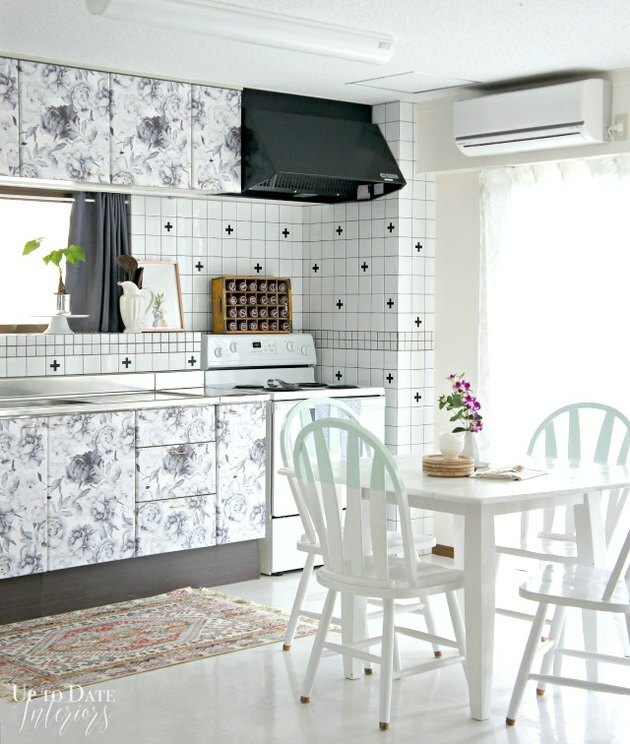 Plain cabinets go bold in an afternoon or less with the help of removable wallpaper, which will adhere without leaving an odd residue. Kathy from Up to Date Interiors used a floral option in black and white to coordinate with the rest of her kitchen. 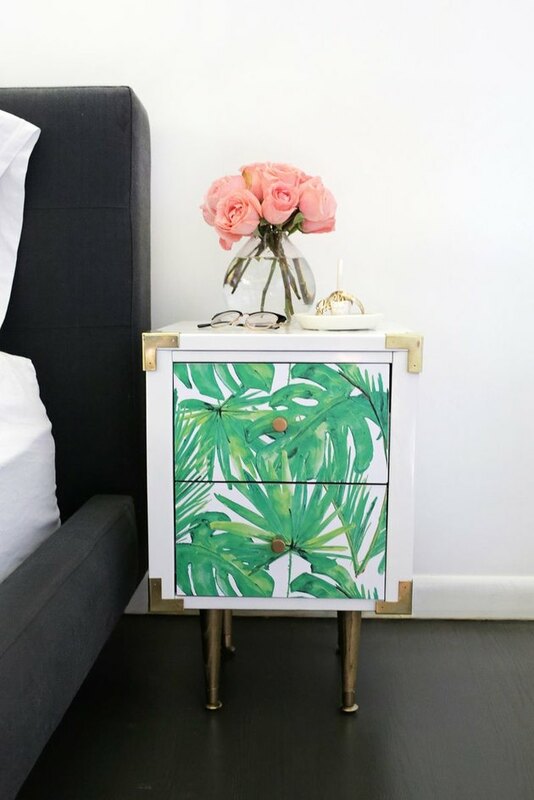 Peel-and-stick wallpaper in a fun tropical print helped A Beautiful Mess cover up drawer faces that were a little damaged following a move. It would look just as cool and colorful in your bedroom. 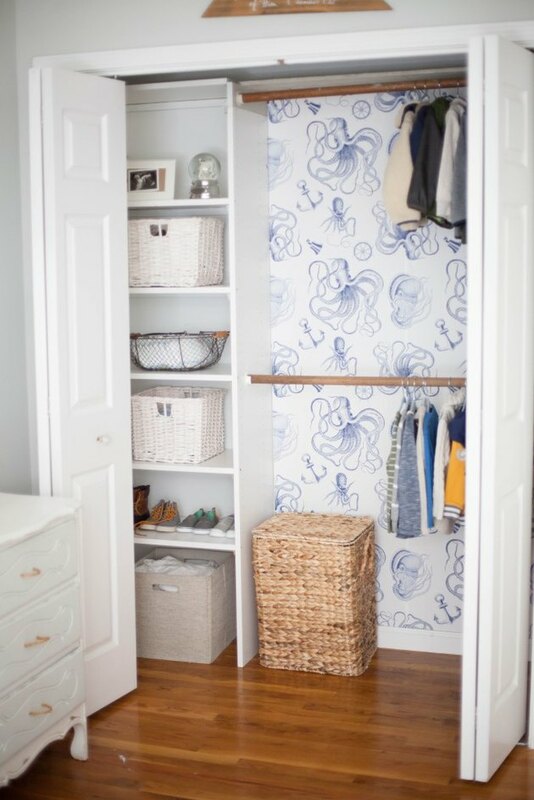 The interior of a closet might be a spot that you don't normally consider when decorating, but Lauren McBride shows what a difference a little pattern can make. Choose a hue that complement's the outdoor walls, and you may just want to leave your closet open for good.